Lay 1 sheet of pie dough on a lightly floured surface. 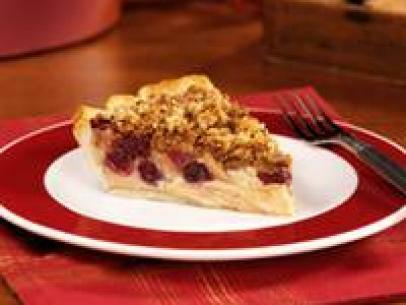 Lightly beat 1 egg and brush some on the dough, then place the second sheet of pie dough directly on top. Roll out the double layer of dough into a 12-inch round. 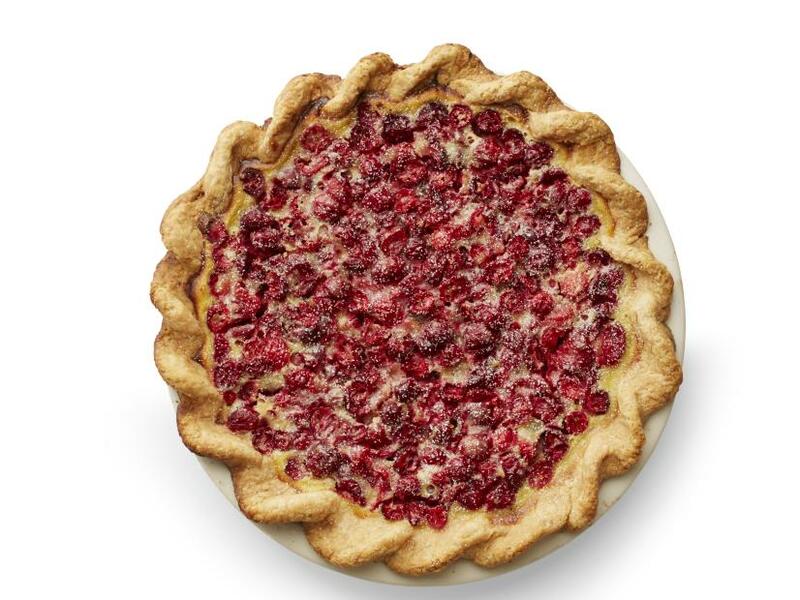 Ease into a 9-inch pie plate. Fold the overhanging dough under itself and crimp with your fingers or a fork. Brush the edge with more beaten egg. Refrigerate until firm, about 30 minutes. Preheat the oven to 350 degrees F. Line the crust with foil, then fill with pie weights or dried beans. Bake until lightly golden around the edge, about 15 minutes. Remove the foil and weights and continue baking until the bottom of the crust is dry, about 5 more minutes. Transfer to a rack and let cool completely. Meanwhile, make the filling: Roughly chop the cranberries and combine with 3/4 cup granulated sugar and the lemon zest in a large bowl. Spread in the cooled crust. Whisk the remaining 2 eggs, the heavy cream, flour and the remaining 1/4 cup granulated sugar in a bowl until smooth; pour over the cranberries. Bake until the filling is set and slightly puffed, 50 minutes to 1 hour. Transfer to a rack and let cool completely. Dust with confectioners' sugar.